Connect Tech can handle engineering assignments of any size, from developing new products from the ground up to optimizing an existing product for manufacturing. Our Product Development staff includes: electrical engineers, machinists, programmers, drafters, and printed circuit layout specialists. If the need arises we can also draw on our relationships with outside contractors for other services, such as; Mechanical and Industrial design. 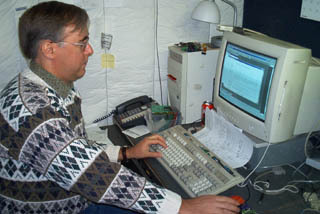 A software engineer works on a programming project. 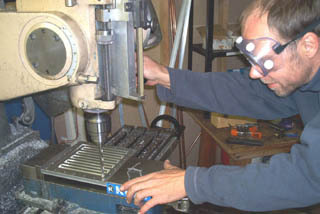 A machinist makes a part in our machine shop.